Have a new puppy or dog? Have a dog that has stopped listening to you? Attend an Orientation and join these classes at your convenience. Teach your dog to walk nicely on a leash, come when called, drop that sock, use her nose in a productive manner and much more. These classes are designed for pups and dogs of all ages who have never been to class or need a brush up. When you attend an Orientation, you will receive a punch card good for six additional classes to be used over three months, so you will be able to make up any missed class. Classes are taught using positive motivational techniques including markers (clickers or a word) and food/ treats. Orientations are held on Sundays. Registration and deposit/payment is required to attend (both are fully refundable at the orientation). Full payment is due at Orientation. Continue your training, in a very relaxed manner. Build a great relationship, with your dog, that will last a lifetime. We will play games to learn loose leash walking and come. 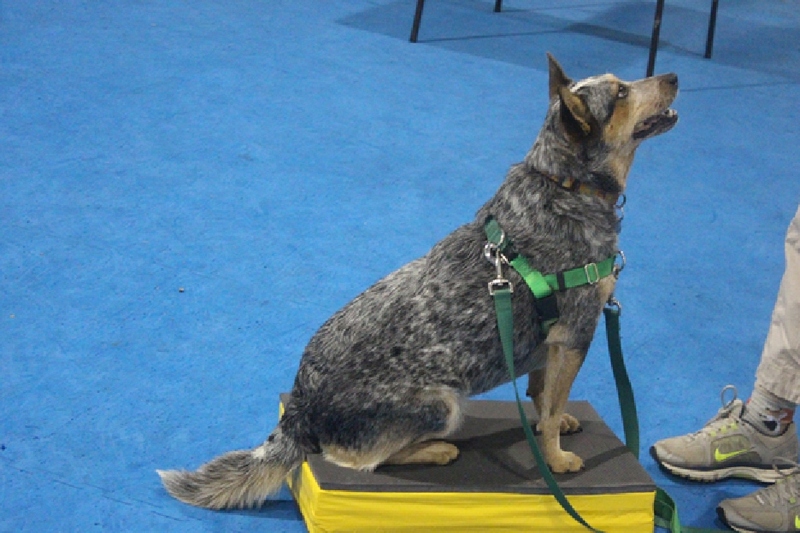 Platforms will be used to teach your dog to stay, where heel position is, find front and build confidence. This class is also student directed — if you are having a problem, let the instructor know and class sessions will be created to meet your and your dog’s needs. 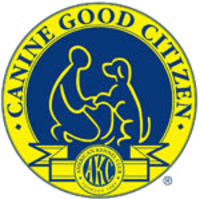 Earn your CGC title and trick titles in this class too. 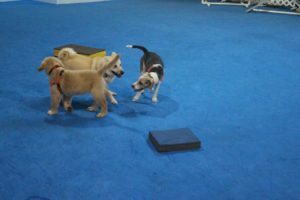 Rally is an enjoyable and exciting way to promote a positive relationship between dog and handler while teaching fun little obedience behaviors. A rally course consists of signs telling which behavior is to be performed. A course is set-up and the dog/handler team go from sign to sign, performing a different behavior at each sign. Signs may say: “Sit” “Down” “Circle Right” “Stand, Sit, Down” “Call Front, Finish Left” Etc. Rally is more relaxed than formal obedience training and allows you to show off your versatility and teamwork. Rally emphasizes fun and excitement for the dog/handler team. 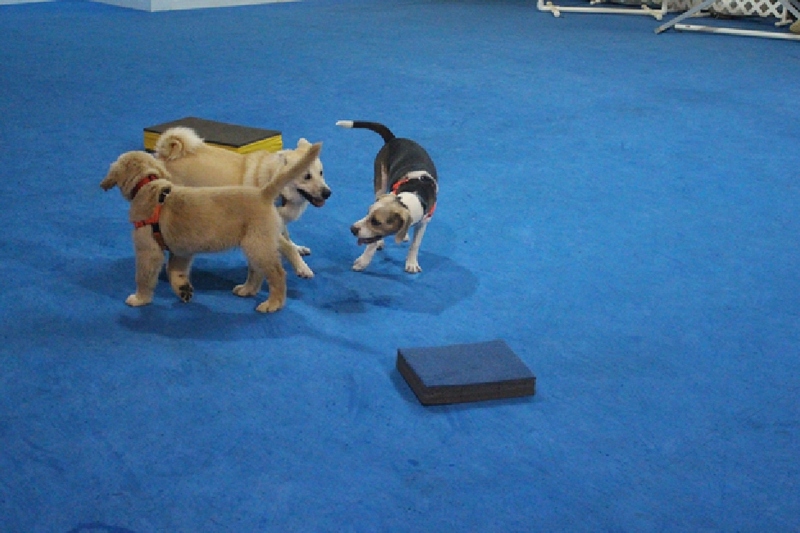 The focus is on teamwork, communication and fun rather than precisionPrerequisite: Puppy class. Knowledge of positive motivational training and use of a marker is helpful. Combine rally obedience and musical freestyle and what do you get? Rally FrEe. Rally FrEe (pronounced “free”) is a competitive sport like rally obedience. It adds in novel behaviors that are often considered tricks, such as leg weaves, spins and bows. If you are already competing in rally and want to add some new and novel behaviors to your dog’s repertoire Rally FrEe will provide that extra challenge. Or, if you just want to teach your dog some new, fun tricks while learning rally, join this class!